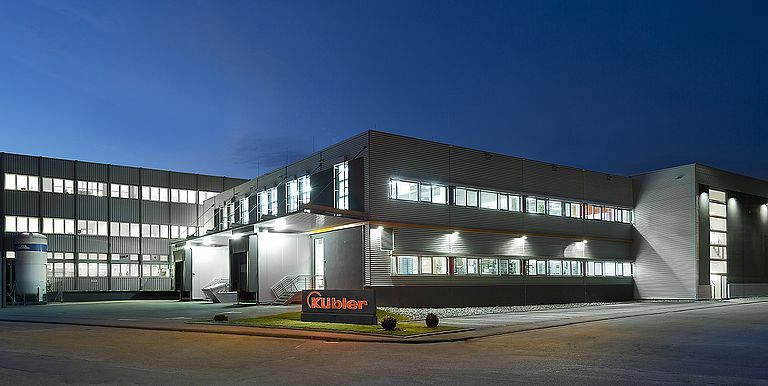 As of August, the Kübler Group, based in Villingen-Schwenningen, achieved a high 18% increase in orders intake and 16% in turnover for its business areas Position and Motion Sensors, Transmission technology and Counting and Process technology. As to the Managing Directors and associates, the brothers Lothar and Gebhard Kübler announced at the annual press conference, Kübler is therefore in line with its budget plan with the aim of reaching a turnover of 52 million € for the current business year. The number of employees exceeded 400, of which 25% are working for the Kübler Group outside Germany, in one of the now 8 subsidiaries. A two-figure growth is aimed to also for 2014. In 2013, subsidiaries have been founded in the USA and Turkey. The growth was distributed regularly over the first eight months of 2013, but there are nevertheless several highlights. Three global customers placed major orders with Kübler. After the strong decrease of the Chinese market, which is an important market for Kübler, in 2012, the orders intake is picking up again. The Company is growing also in the USA and in some European countries. Germany showed a growth of 13%. At the press conference, the managing directors announced new "growth vectors" to support the long-term target of a turnover exceeding 100 million € in 2020. Focus is set on the development of the already very high flexibility of Kübler. This flexibility is an important success factor already today, according to a recently performed customer survey. Also the product range is to be considerably expanded and, thirdly, the vision of the innovation management "from the customer point of view" is to be sharpened. The area Functional Safety has been awarded the status of a business area. In the future, services relating to "Safety" will complete the offer. In the Positions and Motion Sensors area, the field bus and Ethernet encoders are being expanded, the range of Heavy Duty encoders, linear measurement systems and inclinometers is being strengthened. The new area Transmission Technology is developing successfully. Here, the trend of Kübler is going towards new contactless slip rings and slip tings with new contact technologies, which will allow reducing notably the unwelcome maintenance. The Company Managers described the offer of solutions in the drive technology, which are offered strategically with partners, as a promising business model. Customers are provided with drive solutions including the encoder, the motor, the reducing gear and the control from a single source. The advantage: no more interface problems.